Happy Monday! 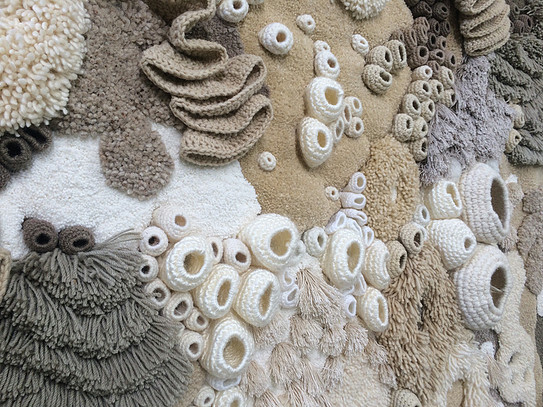 We are starting the week featuring an extraordinary textile artist! Meet Vanessa Barragao! 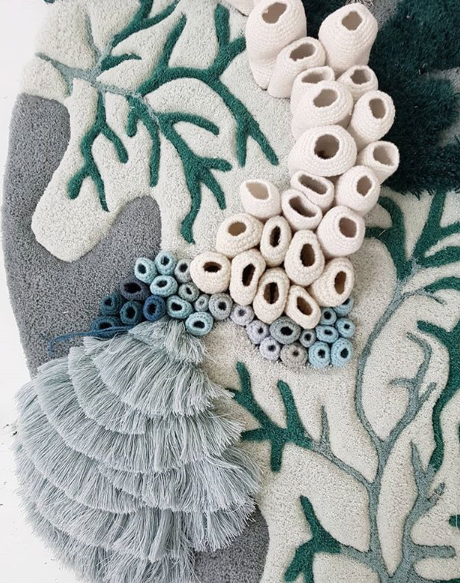 Growing up at the seaside, she uses the connection to the ocean as an everlasting inspiration for her artworks. 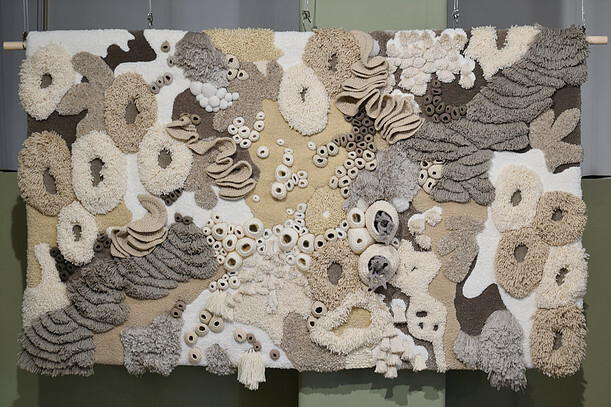 Her work features captivating coral reef environments in which she merges and combines crafts and recycled materials and by employing old techniques such as latch hook, felting, macramé, knitting and crochet she brings life to her unique and luxurious sculptural carpets, rugs and tapestries. Visit her instagram and site for more of her eye-catching work. Stunning! And crochet as well! This is amazing work! 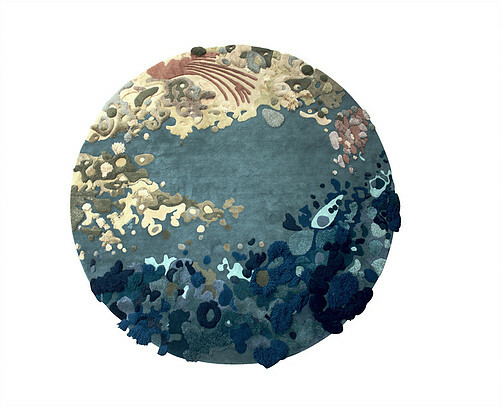 And totally captures the feeling of the sea. Wow! These are masterpieces!!!!!!!! Thank you for presenting the artist, Maya. Kisses, my friend. 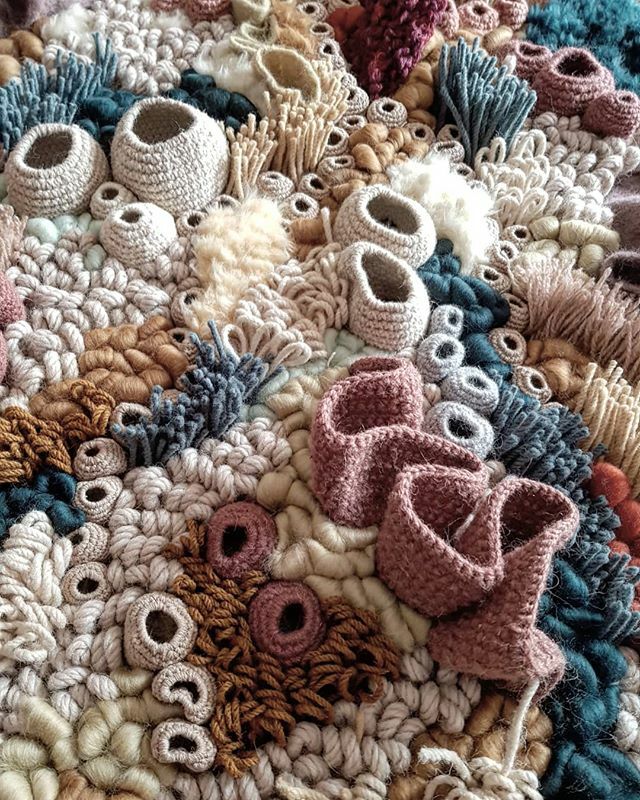 Just when I think I have seen the most amazing textile artists that you have showcased, you go and find another one! Each and every one of Vanessa Barragão's textile masterpieces is astounding! One could look at all the detail in each and every piece for a very long time and marvel at each intricate pretty. Gosh, the world is filled with fabulous artistes, isn't it? ?